Did you know you are 58 times more likely to be assaulted than injured in a house fire? 58 times! This isn’t to say you shouldn’t have a fire extinguisher handy, because you absolutely should. But since you’re much more likely to find yourself a victim of violent crime, you should be prepared for that as well. It’s time to take a stand and prepare to defend yourself and your family. We use real, comprehensive data to uncover ways to combat active shooters once and for all. Get your Florida concealed weapons permit to legally carry a firearm in 37 different states. We all make mistakes. You may be able to get your gun rights and firearms license reinstated. Are You Looking for Cheap Firearms Classes? 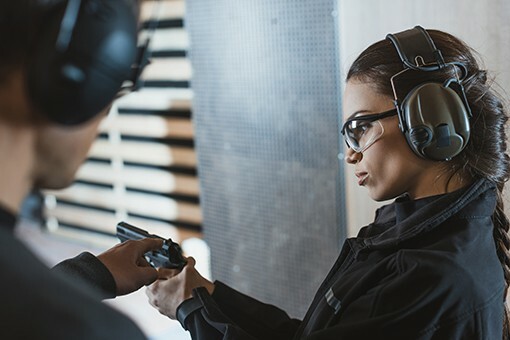 We are looking for students who want high quality, professional, and practical firearms training that may save lives one day. If that’s you, come on in! If you are looking for cheap, bare-bones firearms classes so you can rush off and get your permit, we aren’t the place.